The Bogotá Chamber of Commerce (CCB) and the Permanent Secretariat of the World Summit of Nobel Peace Laureates launched today the official preparations towards the 16th World Summit of Nobel Peace Laureates, an event to be held in the Colombian capital city between February 2nd and 5th, 2017, and for which more than 16 Nobel Peace Prize Winners have already confirmed their attendance. The full attendance list will be revealed short before the event. Some of the Nobel Peace Laureates who have confirmed their attendance to the event include former presidents: Mikhail Gorbachev, of the former Soviet Union; Oscar Arias, of Costa Rica; Lech Walesa, of Poland; and Frederik de Klerk, of South Africa. Also confirmed are Lord David Trimble; Ireland’s former Prime Minister; José Ramos-Horta, former president of Timor Leste; Shirin Ebadi, first woman jurist in Iran; Yemen human rights activist Tawakkul Karman, founder of Women Journalists Without Chains and the collective of institutions “Tunisian National Dialogue Quartet”, recognized for their role in the construction of peace in the North-African country.  The Summit is one of the most relevant and renowned events related to the construction of peace and the search for tools to end warfare, foster disarmament and promote world reconciliation. It is a meeting point for top social, enterprise and political leaders, as well as all members of the society who wants to be socially involved in the processes of peacebuilding and students and representatives from many countries. This will be the first time since its creation in 1999, that the Summit will be held in Latin America. CCB Executive President, Monica de Greiff, said that the Summit will be held in Bogotá while Colombia is experiencing a very special historic moment. She added that this is a unique opportunity for Colombians to learn from those who have already traversed the path to peace, and who wish to share their experience to help achieve this goal around the world. “The Summit provides an opportunity to promote an inclusive and participative dialogue that will foster the reflection required for the construction of a society reconciled”, points out the CCB’s President. She also added “The invitation is to participate in this global event that belongs to all Colombians”. The CCB led the city’s nomination as the venue for this event, with support from the Bogotá and Cundinamarca Conventions Bureau. The nomination and election process lasted close to one year. The Mayor of Bogotá, Enrique Peñalosa; Ekaterina Zagladina, president of the Permanent Secretariat of the World Summit of Nobel Peace Laureates, and Monica de Greiff, Executive President of the CCB, were all present at the announcing ceremony, which was held at the Center for Memory, Peace and Reconciliation in Bogotá.